That our leading newspapers have accepted a former government PR chief to discipline and defend them speaks volumes about the tricky position they are in, but also provides another twist in Matt Tee's varied career. Tee was announced earlier this week as the first chief executive of the Independent Press Standards Organisation (IPSO), which is expected to launch in September after a difficult birth. IPSO has taken shape amid fierce wrangling between advocates and opponents of greater state oversight of newspapers and magazines in the wake of the hacking scandal and the 2011-12 Leveson Inquiry into the industry’s ethics. With the establishment of IPSO, which is funded by the press and will not seek the backing of a royal charter, newspaper proprietors appear to have carried the day with a body similar to, but pledged to be tougher than, the discredited Press Complaints Commission. Tee’s job as chief executive is to establish its credibility in the eyes of a disenchanted public, a concerned establishment and a vocal opponent in the form of Hacked Off. Not to mention dealing with the small matter that The Guardian, The Independent and the Financial Times have not yet joined IPSO. So, as The Guardian’s media commentator Roy Greenslade has wondered, who is Tee? And more importantly, how does he view his new role? Tee, who yesterday diplomatically tweeted that he hoped to fix Greenslade’s ignorance of his existence, chose not to add to the quote he gave on his appointment that IPSO "must be independent and free from the control of the press or the state". However, he is understood to be privately keen to engage the doubters and is mindful of questions over whether the way IPSO is set up makes it sufficiently independent of the press. What of his track record? His career to date can be summed up in the themes of health and government, often in combination, and policy, leadership and communications, again often in combination. Tee was acting director of comms at the Department of Health when PRWeek first profiled him in 2006, offering an insight into his progress from a punk rocker at Leeds University in the 1980s through a four-year spell handling PR for Guy’s and St Thomas' hospitals then a Department for Trade & Industry director of news role. 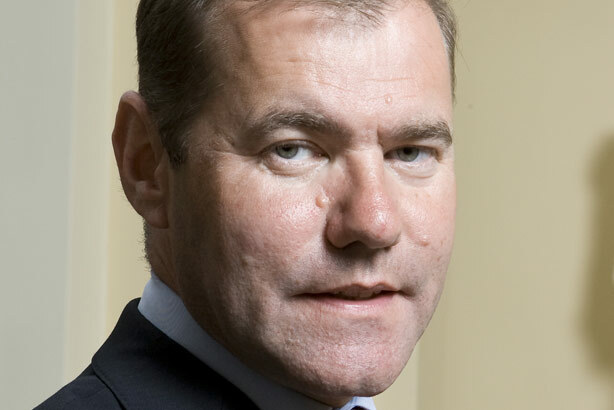 After 2006 his star ascended and he became chief executive of NHS Direct, the public health advice and information service established in the early days of the New Labour government but decommissioned in March this year. He was then the surprise choice for permanent secretary for government comms in the Cabinet Office, seen as the most influential comms role in government, in late 2008. Tee "liked the adrenaline" of handling a crisis, according to a man who worked closely with him during his two years in the role, the former Central Office of Information CEO Mark Lund, who explains why he believes Tee will do well at IPSO. "I learnt to navigate and manage the complex webs and networks of stakeholders that existed in the civil service from him," says Lund, "and for the IPSO role, what you need is someone who understands the pressures that the media and government place on each other. "They’re two big machines that come together on a regular basis, and both have to navigate ever-changing public opinion. He understands both worlds, while seeing things from the public’s viewpoint." After the change of government and the onset of austerity Tee recommended wholesale cuts in government comms and chose to move on, establishing a comms consultancy with the slightly clunky name of Reputate in 2011. Then last year he returned to the NHS, this time with the membership body for service providers such as hospitals and GPs, the NHS Confederation, taking charge of its comms and member engagement operation as chief operating officer. Tee has been "nimble and intelligent" in maintaining the confederation’s influence amid reforms to the NHS, according to Stephen Webb, a NHS comms veteran who currently works for the London Communications Agency. Some might say that running a membership body is very different from laying down the law to the big beasts of Fleet Street, such as Daily Mail editor Paul Dacre and former PCC director and current Telegraph Group executive director Guy Black, while defending the press in the public eye. Here a former Times journalist – Sam Lister, the director of comms at the Department of Health – steps up to claim Tee’s distance from the recent mud-slinging between interested parties is an advantage. "It will be helpful that he’s an outsider. Fleet Street can be a tribal place and he’s beyond the tribes. The freshness of profile and perspective that he brings will also be helpful. "I think he will be able to tread the line." Whether he is treading lines or drawing them, Tee is in for a busy and possibly lonely time.